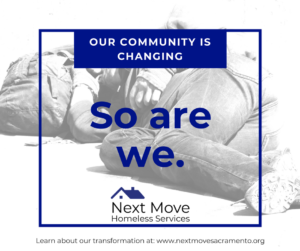 Founded in 1972, Sacramento Area Emergency Housing Center (SAEHC) DBA Next Move (Next Move) is a powerful force in moving people experiencing homelessness to higher levels of self-sufficiency through housing. Our mission is to assist families with children and individuals toward self-reliance. 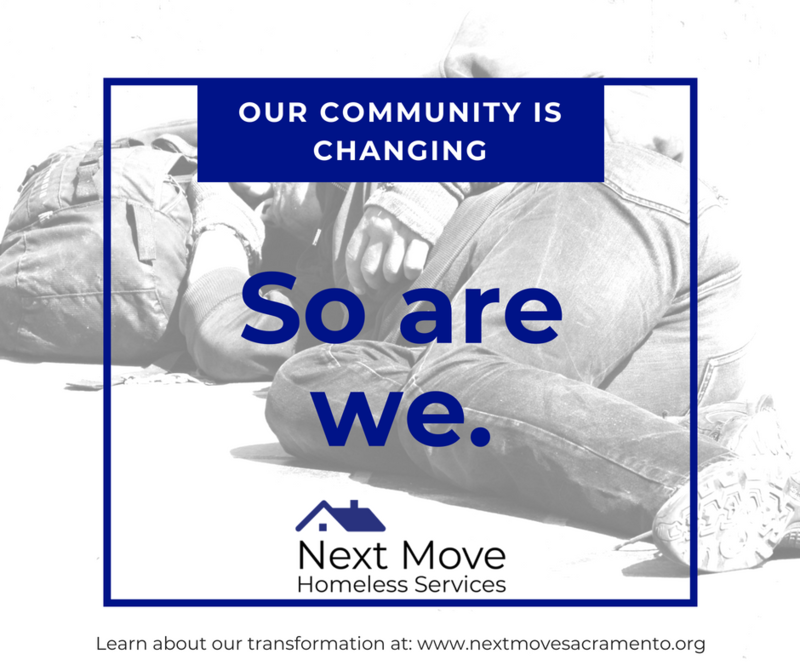 Today, Next Move is a growing, multifaceted and mission-driven organization that houses over 500 people every day in Sacramento County. Our rebrand is part of a larger story. The change was born out of a desire to make our mission delivery immediately recognizable, provide value to the community we serve, and represent a force of hope for individuals and families experiencing homelessness. While we maintain our mission, we have derived a renewed purpose: We exist to offer housing solutions, employment opportunities, and transformative life skills in order to bring stability to those most vulnerable. What make Next Move different? We find innovative solutions for re-housing. Join us in providing housing for good in Sacramento. What’s your Next Move?